Item1991.028 item 098 - Highway, Port Credit, Ont. Item1991.028 item 101 - Grand Trunk Bdg., Port Credit Ont. Item 1991.028 item 097 - St. Mary's R.C. Church Presbytery Port Credit. St. Mary's R.C. 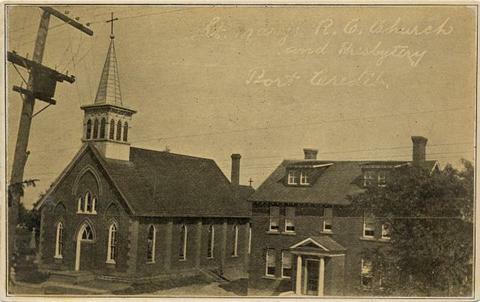 Church Presbytery Port Credit.